The Horizon has landed, and we cover the weekly news, and discuss our review of season 1 of Elite: Dangerous. Beta is going very well – the team have been working hard and have made great progress. Thanks to all those that have been helping us – a great many improvements have been included already, with another update (Beta 5) expected tomorrow, with more tweaks and changes. We have worked very hard to ensure forward & backward compatibility so that all players of both seasons can play in the same galaxy together. After every Elite Dangerous release we have taken care to listen and reacted to all feedback, and Elite Dangerous: Horizons will follow exactly the same process. 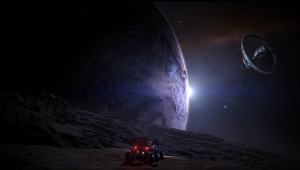 Included with Horizons will be multiple expansions of which Planetary Landings will be the first. All going well, we plan to launch Horizons with Planetary Landings on Tuesday (15th December – you heard it here first!). This will initially be termed an ‘Early Access’ release to highlight our normal process to our broad audience, some of whom have been with us since the start, but many have joined our community very recently. An extremely exclusive item. Previously only available as a high-level Kickstarter reward, this item can now be bought in this charity auction. Please note: Frontier will decide on the station location and reserve the right to edit, adjust and veto names at their discretion. This prize is an exclusive one of a kind paint job only for you. You’ll get access to our designer, Tjaart, who will help develop the paint job and add it your account. This prize is for one of every single paint job, including paint packs, in the Frontier Store. This includes all Paint Jobs currently available but won’t include future paint jobs released. Currently not available to purchase this item gives you every single expansion in Elite Dangerous starting with Horizons. 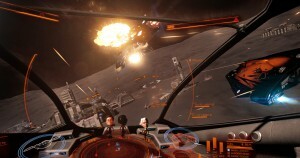 It also includes access to every beta update that comes to Elite Dangerous…. forever. Only roughly 100 of these were ever produced. We have one available in the closed auction and what’s more, ours will be signed by the artists. Please note that this does not come with a frame and will likely require a custom frame to fit. The Community Golden Tickets will grant you access to any and every community event for Elite Dangerous. This includes all live event meet ups, the CQC live final, front of queue for all public events and any other unannounced events happening in the future . What’s more it also includes standard admission into Lavecon and Fantasticon! Please note that only admission is granted to the events. Accommodation and expenses are not covered. Design Challenge – WHY would u go in to a fighter? 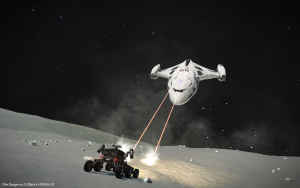 Cutter maneuverability it’s very fast for its size but that speed comes at a cost (Best speed of 232 so it’s much faster than Conda and Corvette) It’s a very iterative design. The are considering ‘station based storage – but no time soon and no promises! http://elite-dangerous.wikia.com/wiki/Version_history gives a good summary of the patches. 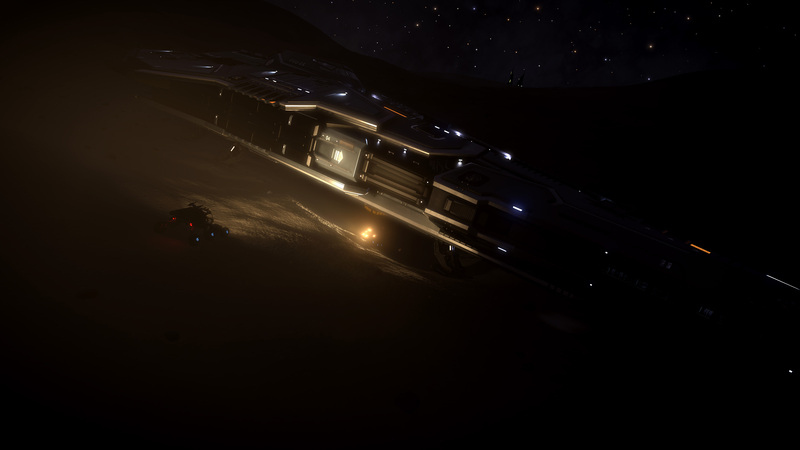 Thanks to [whoever], thanks to those commanders that have joined us outside Lave Station. Until next time fly safe, and if you can’t do that…fly dangerous! We do the weekly round up and then have a chat with ingame commanders to find our their first impressions of the amazing beta Elite: Horizons. Basically I get a POI (the blue blob on my ground scanner) when flying over. We land and get into our SRV and investigate the POI. The issue is that we can be landed, facing a broken type 9 and NOT SEE IT when in the ship’s cockpit. Calling all beta pilots! To celebrate the launch of the Horizons beta we put a special Community Goal live earlier today. Read on to find out how you can get involved and win a paint job of your choice. “LHS 3262 Solutions has reported the theft of a valuable experimental data core. The core, which has been in development for some time, has been described as being “of great importance” to LHS 3262 Solutions, and a generous reward has been offered for its safe return. The precise location of the thieves is not known and Security services in the LHS 3262 system, where LHS 3262 Solutions is based, have been unable to track the thieves, but they have determined that the criminals recently visited three systems: Eleu, Pijan and Baris. As an additional reward the pilot that returns with the data core will also be awarded a special code to obtain a new ship paintjob of their choice. LHS 3262, Whiworth Park on Akan – search for clues to recover the stolen data core. As an additional reward the pilot that returns with the data core will also be awarded a special code to obtain a new ship paint job of their choice. Lave System, Lave Station – Deliver Exploration Data to Lave Station to help improve planetary databases. This year we’ve got a very special Community Goal just for the Christmas period. Every Commander in the galaxy will be able to work together to help bring a gift to thousands of players. 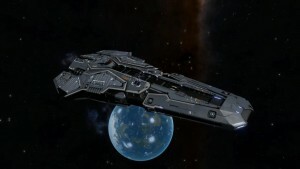 As well as your usual credits, a successful CG will also unlock a new ship for new and inexperienced players (players with between 3 and 10 hours of game play). The type of ship that is granted will depend on the tier achieved. On December 21 at 12:00 GMT Community Manager Ed Lewis will be holding a stream like no other. He will be live and chatting with the Elite Dangerous community for 24 consecutive hours. We’ve got a whole load of guests joining Ed from Frontier Developments and the community and they will be hosting events, shows, gifts giveaways and an incredible prize draw, all in aid of SpecialEffect. We will have more details in the coming week, but be sure to keep the day free! There will also be a blind auction which will close on the 16th of December. More news to follow soon. The biggest Easter egg hunt by the Billionaire yet. Horizons beta is launched so we drive like mad things around Diso, Crash a plenty (both client crashes and car / ship crashes). Allen and Mindwipe also cover the recent Uncle Art Session recording at Abbey Road! With the recent announcement of a delay to the Horizons beta release, we discuss all the videos and q&a’s. 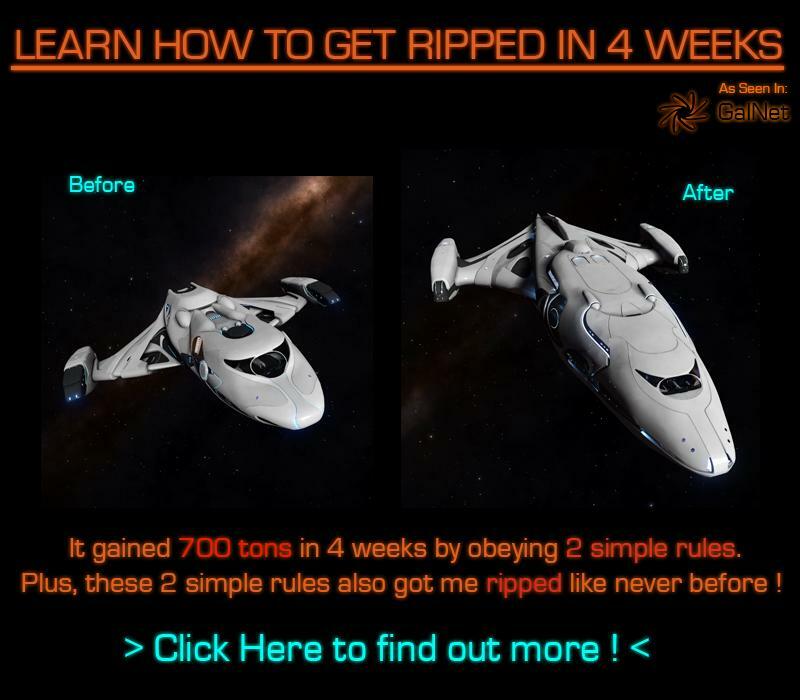 A unique synthesis between the new ships on offer in Elite: Dangerous 1.5 and all the latest Horizons news. We discuss the new ships on offer in Elite: Dangerous 1.5.